A family setting off on holiday, young French nationals who came over for a music festival, a couple returning from their California honeymoon; two days after the horrific collapse of a bridge in Genoa, officials and the media have begun naming the victims whose lives were tragically cut short. On Thursday the provisional toll stood at 38 dead, some of the victims identifiable only through a piece of jewelry. 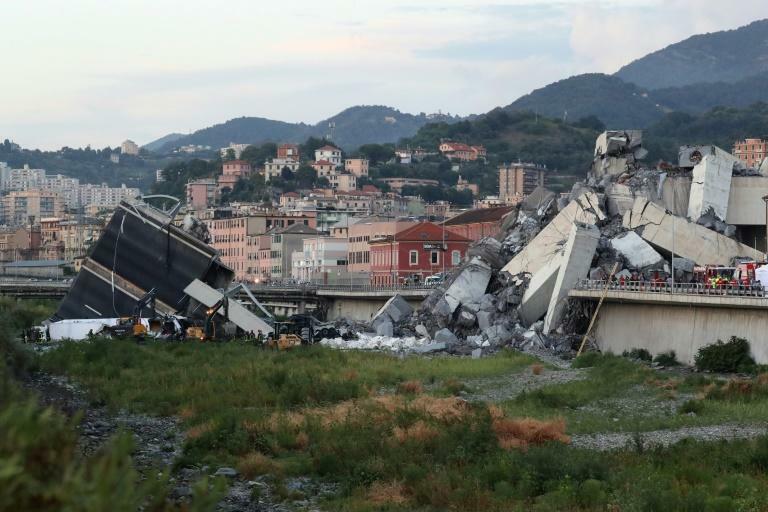 Genoa officials released a list of 21 names, with dates and places of birth, of Italian victims whose families have been informed following Tuesday's accident. On the list was a family from the Liguria region of northwest Italy, of which Genoa is the capital; Roberto Robbiano, 44, his wife Ersilia, 41, and their son Samuele, aged eight. Their friends and relatives said they were on their way to catch a ferry for a holiday on the island of Sardinia. In another car was a family from Turin. Andrea Vittone, 49, and Claudia Possetti, 48 were on their way home from their honeymoon in California with her two children Manuele, 16, and Camila, 12. None survived. Andrea Cerulli, 48, was a father and played football at the Genoa club Portuali. "Our friend, our colleague victim of the tragedy on Morandi bridge, farewell Andre..." the club wrote on its Facebook page. Giorgio, 57, was a former moto champion who became an entrepreneur, Alberto, 32, was an anaesthetist working in Pisa with his 29-year-old girlfriend Marta. Neapolitan Gennaro Sarnataro, 43, transported fruit and vegetables and was on his way back from a trip to France. Vincenzo Licata, 58, ran a transport company in Sicily and leaves behind a wife and two children. Theirs were just some of the ordinary lives which were ended suddenly in tragic circumstances. Chile's diplomatic service confirmed the deaths of three if its citizens who lived in Italy.